*32-bit ARM mircrocontroller,hardware integration and high reliablity have been further enhanced. 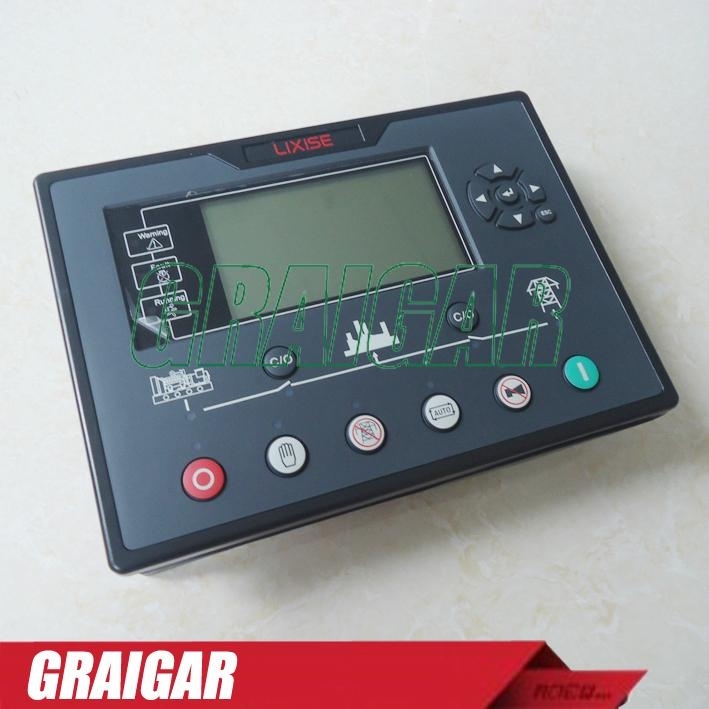 *The oversized LCD LCD240*128,with backlight,Chinese,English and other languages optional interface operation.All parameters can be set on the controller,convenient debugging personnel test machine. 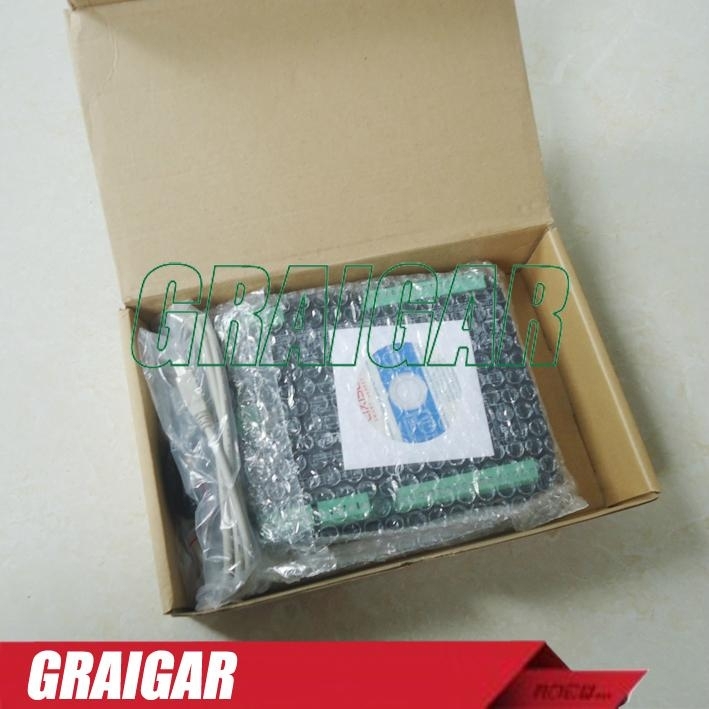 *Of Things Internet through GPRS mobile network and the Internet,in any network can remote monitoring. *Particularly for the management of the leasing industry provide the perfect solution:remote management via PC leased units Monitor all operating parameters(oil pressure,water temperature,voltage,current,power,etc. )can change the configuration at any time to protect inappropriate application of the unit,recorded 200 detailed fault information,including:time to failure,because,when the key parameters of voltage,current,power,oil pressure,water temperature,etc,and etc.,and at any time can be uploaded to the monitoring machine.Another multi-level password management items to facilitate the lease management. 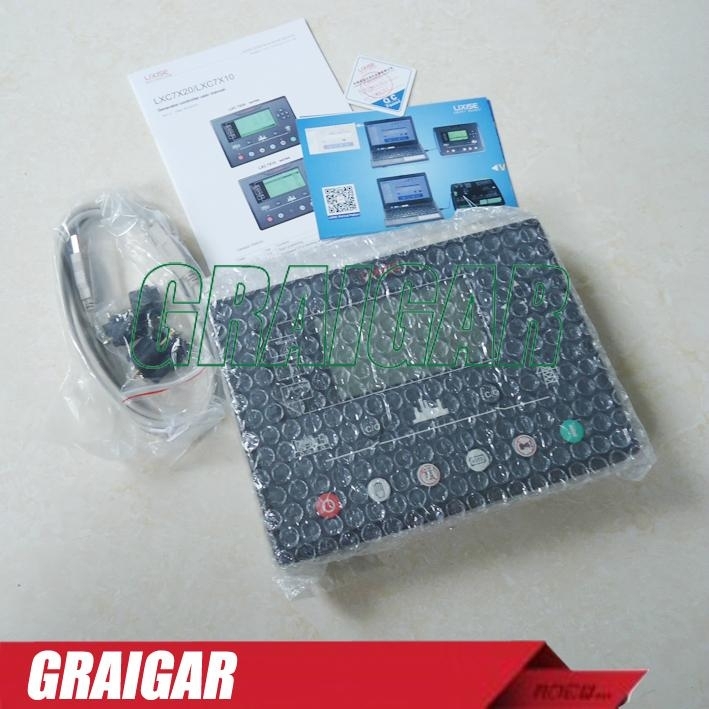 *RS485 communication interface, using the MODBUS protocol can achieve "three remote" function. 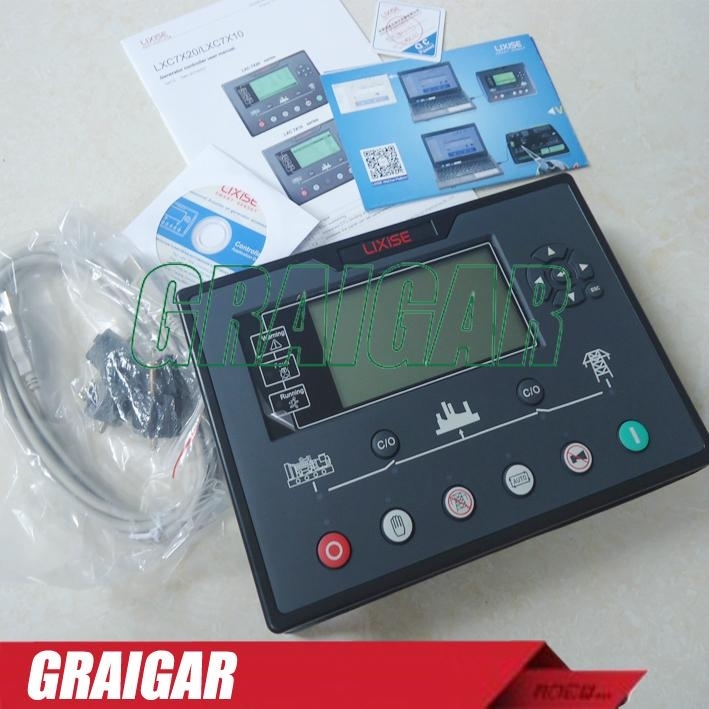 *Control and protection functions: diesel or natural gas generator sets, automatic start / stop, sub-gate (ATS switch)Perfect failure protection. *Parameter setting: Allow user to change the setting of its parameters, PC can be directly connected via USB controllerSettings. Memory in the internal FLASH memory when the system is powered down, it will not be lost. Note: All parameters can be adjusted from the front panel of the controller. *SMS function, the alarm signal when the generator set alarm can be automatically sent to the set of five phone numbers Interest via SMS to control the generator set and generator set access state; using a PC via RS232 ,RS485 interface adjustments queries via the Internet using a PC (need to connect the DTU). *A variety of temperature, pressure, oil level sensor curves can be used directly, and can be custom sensor curve. 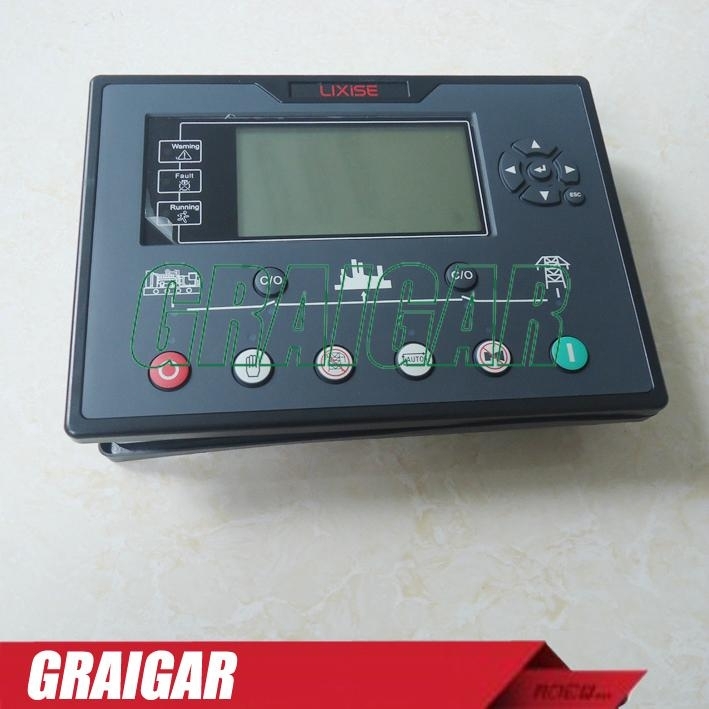 *A variety of starting conditions (speed sensors, hydraulic, power generation) to select. *All output ports are relay outputs. Frequency, under frequency, over-current, over-power, reverse power, phase loss, reverse phase sequence function. *Three fixed analog sensors (temperature, oil pressure, liquid level). 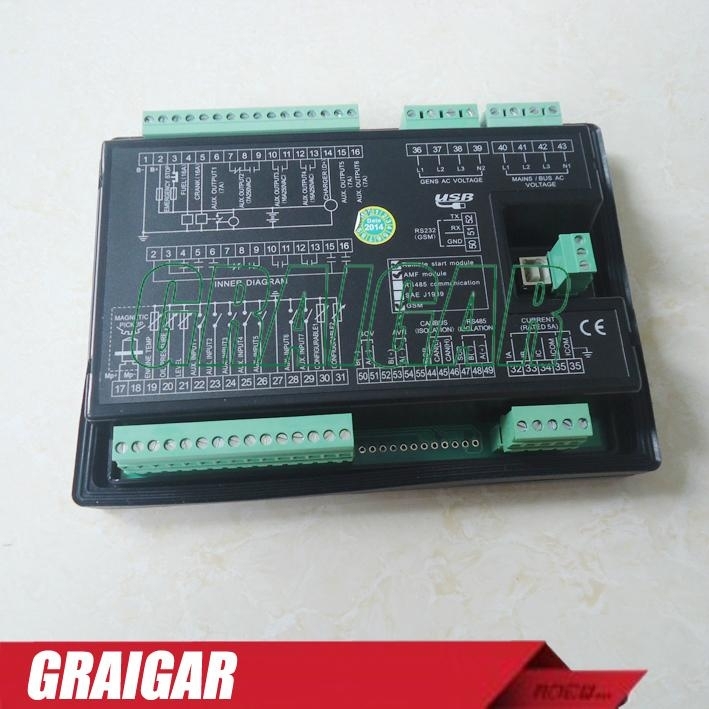 *Two programmable analog sensor can be set to a temperature or pressure or liquid level sensor. *Wide power supply range (8 to 35) VDC, able to adapt to different starting battery voltage environments. *Pump unit can be used, but also can be indicating instrument (only indication, alarm, the relay no action). *Between the shell and the control panel design can reach IP55 waterproof rubber sealing rings of. Protection class IP55:when the installation of waterpoof rubber ring between the controller and the control panel. IP42:when the installation of waterpoof rubber ring between the controller and the control panel does not.